Home » Capitalist misery » Midwest Conference builds socialism: Power to the people! Midwest Conference builds socialism: Power to the people! 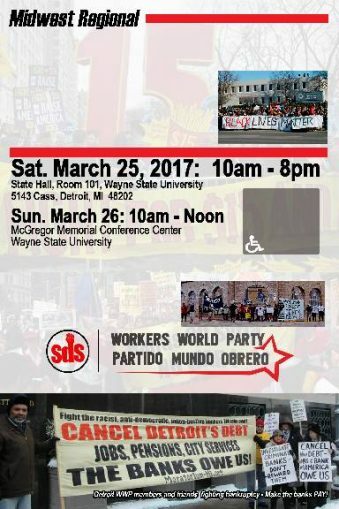 Revolutionaries from throughout the Midwest and beyond have mobilized to build and attend the fightback conference, “Resistance Against Racism and Capitalism: The Struggle for Socialism.” The Detroit branch of Workers World Party and the Wayne State University branch of Students for a Democratic Society are co-hosting the event March 25-26. Registrants are from 12 U.S. states and over 20 cities. The Venezuelan consul general, based in Chicago, will be speaking, along with many other people’s fighters, like a delegation from the Boston School Bus Drivers Union, United Steelworkers Local 8751. The conference talks include: Resistance to capitalism in Detroit and beyond; solidarity with migrants under siege by ICE; a special tribute to Fidel Castro; Fight for $15 and other labor struggles; mobilizing against imperialist attacks on Africa, Yemen, Syria, China, Russia, Central and Latin America, and the anti-fascist forces in Ukraine; supporting public education; the 100th anniversary of the Russian revolution; and the struggles and fightback of people of color, youth, students, retirees, women, LGBTQ people and their communities. A WWP and friends’ delegation is traveling to the conference from Chicago, an epicenter of people’s struggles, including immigrant rights, the Chicago Teachers Union and the Black Lives Matter fight against police terror. Adjoa Achiaa, a member of the WWP Chicago branch and a BLM Chicago organizer, explained why: “I am excited to be going to the Midwest Conference because I want to engage in serious dialogue about capitalism, imperialism and a Trump presidency. Working-class and oppressed peoples in the state now known as Wisconsin have been fighting against brutal Jim Crow austerity, including ruling-class attacks against private and public sector collective bargaining for unions. But the people have resisted at every turn, most notably with the February-March 2011 state Capitol occupation in Madison. Zach Gevelinger, a WWP candidate from southwestern Wisconsin and a member of the Rockford, Ill., branch of WWP, wants to intensify that resistance: “I’m attending the Midwest Conference because it is necessary to consolidate our forces against a growing racist, sexist, capitalist, bigoted enemy represented by Trump’s administration. 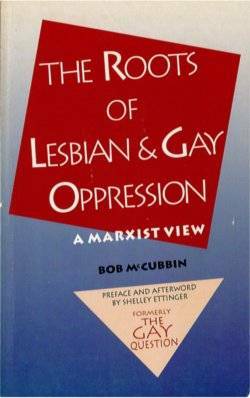 “Building networks of communists and socialists is essential to building a vanguard party capable of defending the gains of the working class and of building socialism in our communities. Power is the organized masses. Developing our consciousness both in struggle and through conference discussion can give us weapons necessary to make capitalism a system of the past.” (facebook.com/rockfordwwp) (facebook.com/workersworldpartywisconsin). Some attendees are coming from beyond the Midwest. Mattie Boyd, of the WWP Philadelphia branch ,said, “I’m traveling from Philadelphia to Detroit — two of the poorest big cities in the country.The forces of racist, imperialist austerity that have laid siege to both working-class Philadelphians and Detroiters are not isolated from each other. “These exist as part of a global class of exploiters — the same class that wreaks havoc in Latin America, Northern Africa and the Levant. Only on the basis of the united struggle of all working and oppressed people against our common imperialist enemy will our class create the conditions for lasting peace.” (facebook.com/WWPhilly). Right-to-work (for-less) laws in the Midwest are part of the rapid increase of racist, anti-working-class austerity under both Democratic and Republican administrations. Since 2013, Kentucky, Michigan, Missouri and Wisconsin have also become RTW states. Many of the capitalist henchmen who put these laws in place are now part of the Trump administration, including former Indiana governor and now Vice President Mike Pence. In West Virginia, the legislature passed a RTW bill in 2015. Benji Pyles, WWP member from Huntington, W.Va., outlined the devastation wreaked by colonization and capitalism on his region: “The territory currently referred to as ‘West Virginia’ (actually Shawnee, Haudenosaunee and other Native nations’ territories) has been utterly ravaged by white supremacist capitalism that still reigns supreme here. “From the moment colonists came into the region with ethnic cleansing, committing genocide against the Native nations, the status quo has been to steal resources, mine and burn fossil fuels and cut down forests. This has led to poisoned land and water, harmful emissions and killing off of many species. According to the National Women’s Law Center, an Indigenous woman makes about 50 cents for every dollar a white man makes, while Black and Latina women make about 60 cents. Of course, given [racist] patriarchy, a white woman makes 70 cents.” (https://facebook.com/groups/WorkersWorldWV). Added Pyles: “West Virginia currently faces massive budget shortfalls that are being balanced on the backs of the poor, the workers and the oppressed nations through cuts to vital programs and through the implementation of regressive sales taxes. I urge West Virginians to come to the Midwest Regional Conference to learn how to challenge the wealthy and their capitalist system and fight for the power to establish a new economic system based on democratic planning by the working class and the oppressed. 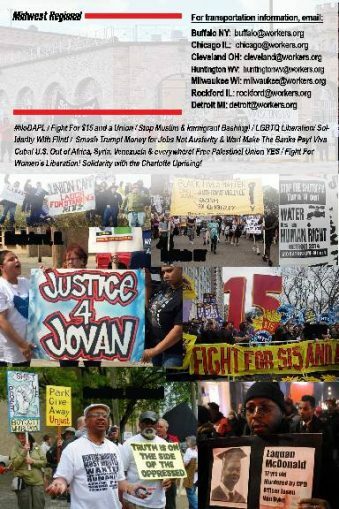 For conference schedule, registration and more information, workersworlddetroit.org. View the Facebook event page at tinyurl.com/zpnhrej.